Buying a gaming computer can be likened to buying a car. Understanding what goes on under the “hood” is crucial if you want to get the most out of your PC. Standing with the salesman trying to sell you every piece of hardware under the sun can be rather intimidating so have a look at the following specs, as curated by our good friends from Next Day PC, for gaming PCs before being flooded with information next time you go shopping. This part of the computer is likened to the brain. A piece of hardware responsible for all kinds of calculations and arithmetic operations. The speed of your CPU is important as this will influence the number of tasks it can perform in a second. This however is not the only factor that influences the speed of your computer, one should also consider the way the CPU has been built and its caching system. The motherboard is a very important piece of hardware attached to the CPU. The power connector between the two devices is paramount to the optimal functioning of one’s computer. This connection sends power to the motherboard, allowing it to distribute power to the rest of the hardware. The shape and form of the board also plays an important role as it greatly reduces the size of the motherboard, a very important factor in the greater scheme of things. The microprocessor chip is housed on the motherboard and influences the performance of the rest of the computer. This is the part of the PC where software (read games) is loaded once it is launched by the user. This means that more RAM will result in faster reaction times and increased loading capacity when in use. One of the aspects to look out for in RAM are capacity, as this will influence the actual performance of the computer. Next will be frequency, the amount of data that a specific part of the RAM can handle and lastly the latency – which could also be described as a reaction rate. Every computer needs space to store information, this is done on the hard drive. Whether it be documents of information that you use for work or other pieces of software on your computer, this information is stored on the hard drive. A solid state hard drive is the latest advancement in terms of technology as it stores data on microchips and contains no moving parts. These kind of hard drives trump the older versions for gaming as they are faster and more durable leading to greater performance and reliability. The GPU, otherwise known as a graphics card, is connected to the motherboard and outputs the visuals you would see on your screen. This is a very important element for gamers as nobody likes to play a game with poor picture quality. Typically gamers are more concerned with a graphics card than regular everyday computer users. Typically a discrete graphics card can be installed separately onto the motherboard and useful for speeding up and increasing quality of image processing. Ultimately the graphics card can best be understood as an interpreter of sorts, producing images based on data from the CPU. Naturally gamers today would require more complex graphics cards as image output becomes more complex. It is not unusual for gamers to opt for building their own rigs. This means that they are likely to sit with a space issue as opting for the best CPU, hard drive and graphics card means you have to find space for all these parts. Ventilation or cooling is another very important aspect when deciding on casing and building your own PC. Regardless of whether you choose water or air cooling, you’ll need enough space for this as well and also need to ensure that you have enough space for mounting. Lastly, everyone wants to look good. Your case becomes your pride and joy, so make sure to find one that sets you apart. For everyday users a screen is a screen, but for a gamer this is the window to another world. Before considering a new screen it is also important to understand how important your graphics card is in this case. A high-end monitor would require a proper graphics card for optimum performance. As a gamer you should consider the screen’s resolution (for quality), refresh rate, response time and the connectors. 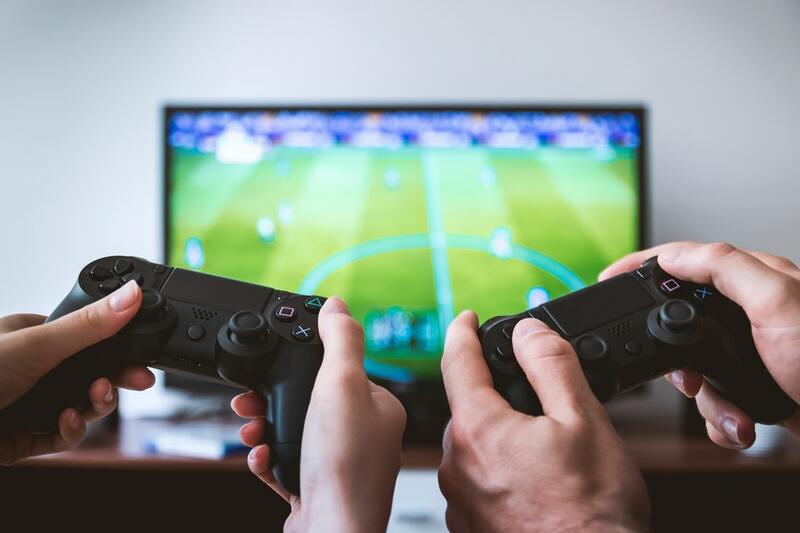 All of these will have an effect on your gaming experience and one should make sure to pay attention to these details for an enjoyable gaming experience. Understanding what you want in your gaming PC is really important, but knowing your hardware is even more important. Get your mind around all the finer details before you head to the shop to make your purchase. After all, you need to have your A-game going next time you play online or compete against your friends.